Australia has voted, and for the first time since World War II, is heading for a hung parliament. 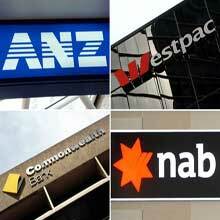 The Prime Minister, Kevin Rudd, has announced a mortgage relief plan to help people that have lost their jobs. 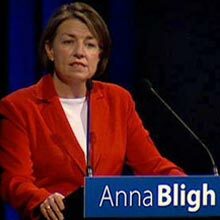 Anna Bligh, the Premiere of Queensland, has called an early state election. 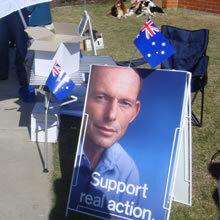 The 21st of March 2009 is the date Queenslanders will go to the polls. Malcolm Turnbull has taken over the Liberal leadership from Brendan Nelson after winning the party room ballot held on the morning of Tuesday, 16th of September, by 45 votes to 41. Western Australia Nationals leader, Brendon Grylls, announced his party would support the Liberals to form government, as former WA premier, Alan Carpenter, has conceded he has lost the state election and announced he will be resigning as Labor leader. After sacking his Treasurer Michael Costa, Morris Iemma, NSW Premier, has been forced to resign. The new Australian Government will deliver a strong surplus of $21.7 billion (1.8 per cent of GDP) in 2008‑09. To find out how the budget will effect you and your family visit the Australian Government Budget Website. Today the Australian Prime Minister Kevin Rudd apologised to the indigenous peoples of Australia. On Wednesday 13th February 2008 the Australian Government will make an official apology to the Indigenous people of Australia regarding the Stolen Generations. Live streaming of the event from 8.55 am (AEST) and additional coverage is available via the ABC website. The Labor party has won the Australian federal election. After 11 years as Prime Minister, John Howard has had to concede to Kevin Rudd. So far, Labor have gathered 43.5% of the vote, versus 36.5% for the Liberals. Australia goes to the polls on the 24th of November. Australians will have to choose between re-electing the Liberals, under John Howard, or Labour, under Kevin Rudd. It is Compulsory to vote in Australia. The current Australian Federal Government (the Liberal Party led by John Howard) has begun it's "Caretaker Period". This started on 17/10/07 and stays in place until the election (24/11/07) results are clear. More information can be found by following the link below.